Our daughter recently moved back to Studio City, California. We go back periodically to watch and play with our new grandson. We are planning our annual trip to Palm Springs for Christmas. We are so lucky to live in California with nice winter weather. I didn't like the snow in Connecticut when my daughter lived there 2 years ago. Barbara Walker Murman has a birthday today. Barbara Walker Murman changed her profile picture. Barbara Walker Murman posted a message. Hi Lee. Just noticed that we share the same birthday. It is a big one this year. Barbara Walker Murman updated her profile. View. Barbara Walker Murman posted a message. New comment added. Linda, it was nice visiting with you at the reunion. I was so sorry to hear about a Gloria. What a loss to all of us. Elaine, my husband and I go through Santa Maria a lot. We live in Sacramento and our daughter lives in Southern California. So we go the coast route a lot. Lovely area. Barbara Walker Murman added a comment on Paul Sarcione's Photo. New comment added. 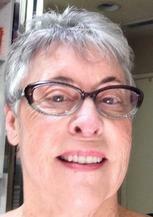 Barbara Walker Murman added a comment on her Profile. Barbara Walker Murman added a photo to her profile gallery. Barbara Walker Murman added a photo to her profile gallery. New comment added. Happy Birthday Nancy. Hope you do something special on your SPECIAL day.